I have been pointing out the crisis we face moving forward. The gist of this is the total fiscal mismanagement of government for which we, the people, are always blamed. This hunt for taxes has led down the path of arguments for eliminating currency. While people think Bitcoin is an answer, they do not understand government’s hunt for taxes no less the lack of a true rule of law. The government need only pass a law that anyone who fails to report what they have in Bitcoin is criminal and they get to confiscate all your assets. Switzerland has its “wealth tax” which they argue is nothing just 0.02%. However, it requires you to report all assets worldwide. They then know precisely what you have and it is merely one vote away at anytime to raise the tax or impose criminal penalties for failure to report everything. Yet, once Switzerland has that info, under G20 they must share it with all other governments. We have stood by and watched India cancel all high denomination notes. Try walking around with €500 notes in Europe and they look at you funny or won’t accept them. ATM machines have been reduced in Europe to taking a maximum of €200 in cash at best. This is all th hunt for taxes because government cannot function ethically no less morally. Now the German Federal Minister of Finance, Wolfgang Schäuble, is proposing to control all large cash transactions claiming this will prevent black money transactions and money laundering. Of course, they see these two issues not as typical crime like drugs, but tax avoidance. Schäuble is coming up with an alternative for the resistance to eliminating cash is rising globally. He knows he cannot abolish cash. 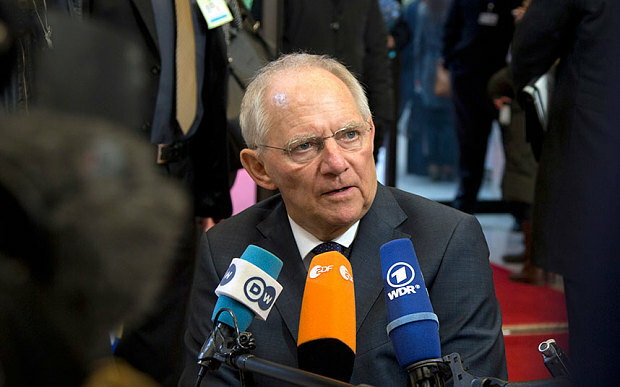 If you cannot eliminate cash, then Schäuble said there should be an upper limit placed on cash transactions, from which cash transactions must be registered and reported to the tax authorities. This is also happening in Europe where you cannot pay for a hotel bill greater than €1000 in France. Schäuble said cash transactions must be registered declaring who are the parties to the transaction on each side to prevent the black money transactions, money laundering and terrorist financing. 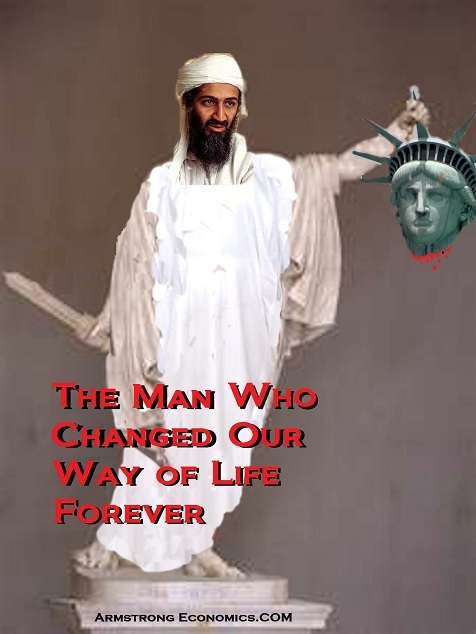 It has become painfully obvious that the real winner in the Terrorism War was Osama bin Laden. What this single man did was change the entire world into a hunt for taxes destroying our liberty and right to privacy. He destroyed our liberty like no other invader in history. Osama bin Laden has certainly made the list of the top 10 most influential people in history, but has not surpassed Karl Marx. This trend is only going to end in revolution. Historically, all revolutions are about money.